I've had some crazy calls and crashes during my 22 years in law enforcement but I've never heard of anything like how he was killed. That is insane. So sad....what a horrible situation. So sad, my grandmother died in an accident like this. She parked her car in the driveway and was getting groceries out the trunk. Either she didn't have it completely in park or the brake malfunctioned and the car rolled back on her, rolled across the street half way up another steep driveway and rolled back on her a 2nd time. Every time someone in the entertainment industry, no matter how unfamous, dies, we get a thread. Usually I think "too bad but who cares." Note to actors: If you've ever made a movie with Justin Lin -- stay away from cars! Last edited by Perkinsun Dzees; 06-19-16 at 05:13 PM. 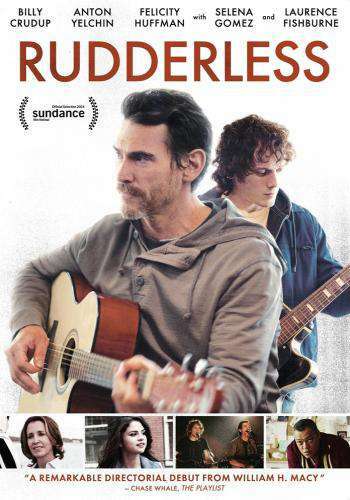 Check out Rudderless. That was the last movie I saw with him. It was pretty good. His accent on Star Trek seemed forced and unnatural but he has been good in almost every other movie he has done. I'm one of the few who liked Terminator Salvation. I liked him in it. He also turned in a great performance in an episode of "Criminal Minds". Looking at his filmography, the guy had done a ton of work over the course of 16 years. The interesting thing is that, apparently, he was born in Russia. Both he and Walter Koenig had parents who were native Russian speakers, and both of them received criticism for their, "Bad," Russian accents. What a sad, senseless tragedy. I wish I could offer up a comment of depth or insight on the cruelty and unfairness of the world, but I can't other than to say that that this is a sad situation, and thank him for the good things he gave us in his short life. He will be missed. God, he was younger than I am. The world is a sad, unfair place. Wow. I really enjoyed him in Star Trek. When i heard how he was killed i expected to hear that a child had fucked with the gearshift by accident or something similar. I remember as a toddler putting a car into gear and having it roll backwards down a driveway. Luckily my older brother was in the back seat and jumped forward to stop the car. Looking back i could have easily killed someone had they been behind us. Last edited by Giantrobo; 06-20-16 at 11:42 AM. i liked him in everything. he was such a fine young actor. enjoyed Fright Night that much more because of him. The National Highway Traffic Safety Administration (NHTSA) expanded its investigation into E-shift gear shifters in a number of Fiat Chrysler vehicles. Specifically, the agency is looking into reports that vehicles may roll away after drivers exit the vehicle, thinking that they had put the transmission into Park. NHTSA has collected 314 complaints linked to these transmissions, including 121 reports of crashes and 30 injuries. The agency first noted the issue in August 2015, though it did not lead to a full-fledged recall. Instead, NHTSA started an investigation, which this week has been upgraded to an engineering analysis since the issue is one of design rather than defect. NHTSA believes that "the Monostable shifter is not intuitive and provides poor tactile and visual feedback to the driver, increasing the potential for unintended gear selection"
"If the driver’s door is opened when the gearshift is not in Park, a chime sounds and a message is displayed on the EVIC to warn the driver," the NHTSA states in a Summary of the Engineering Analysis. "In addition, the engine Start/Stop push-button control logic does not permit normal engine shut-off when the transmission is not in Park. This logic may provide feedback to drivers who attempt to turn the engine off when the transmission is not in Park. However, this function does not protect drivers who intentionally leave the engine running or drivers who do not recognize that the engine continues to run after an attempted shut-off." The engineering analysis involves 2014 and 2015 Jeep Grand Cherokees, as well as 2012-14 Dodge Chargers and Chrysler 300 sedans equipped with the 3.6-liter engine. In the agency's investigation, the Grand Cherokee from those two models years is cited in the bulk of the crash and injury reports. "Twenty-eight of the crashes reportedly caused injuries, including 3 with a fractured pelvis and 4 others requiring some degree of hospitalization (a ruptured bladder, fractured kneecap, broken ribs, damage to right leg)," NHTSA states. "Other injuries include reports of a broken nose, facial lacerations requiring stitches, sprained knees, severe bruising, and trauma to legs." The agency points out that FCA changed the shifter design for the 2015 model year, as well as in the 2016 Jeep Grand Cherokees which are now on sale. What does this mean for vehicles that have already been sold? NHTSA has not announced a recall (which would concern well over 100,000 vehicles), though it appears that this issue may only be addressed via a hardware retrofit or the creation of additional warning chimes via a software update. The latter option may be what FCA and the NHTSA are currently discussing. Very sad to hear about this yesterday. Loved him in Huff. Very sad news. Only child, on Father's Day and another member of the 27 club. He was driving a 2016 Jeep, which as above, is a different design. Shocking and sad. Yes, his name wouldn't have made headlines if he was a "civilian", but it still probably would've made the news on morning shows and what not. I really liked this kid. He could act, or at least picked a lot of fun roles. Didn't know he was only 27; he's been in a ton of movies. It would have made local news, stuff like this happens a lot more than you'd think. When i heard how he was killed i expected to hear that a child had fucked with the gearshift by accident or something similar. I remember as a toddler putting a car into gear and having it roll backwards down a driveway. Luckily my older brother was in the back seat and jumped forward to stop the car. Looking back i could have easily killed somone had they been behind us. I did the same thing as a kid. Fortunately, no one behind us, either. Made me afraid of cars for quite some time. This article says it was a 2015 Grand Cherokee. Then why would it have made news? Things that happen often aren't newsworthy. That had to be a rough way to go, pinned like that and dying alone. A young actor with a lot of promise and gone too soon. Ok, I had read another article that said it was a 2016.